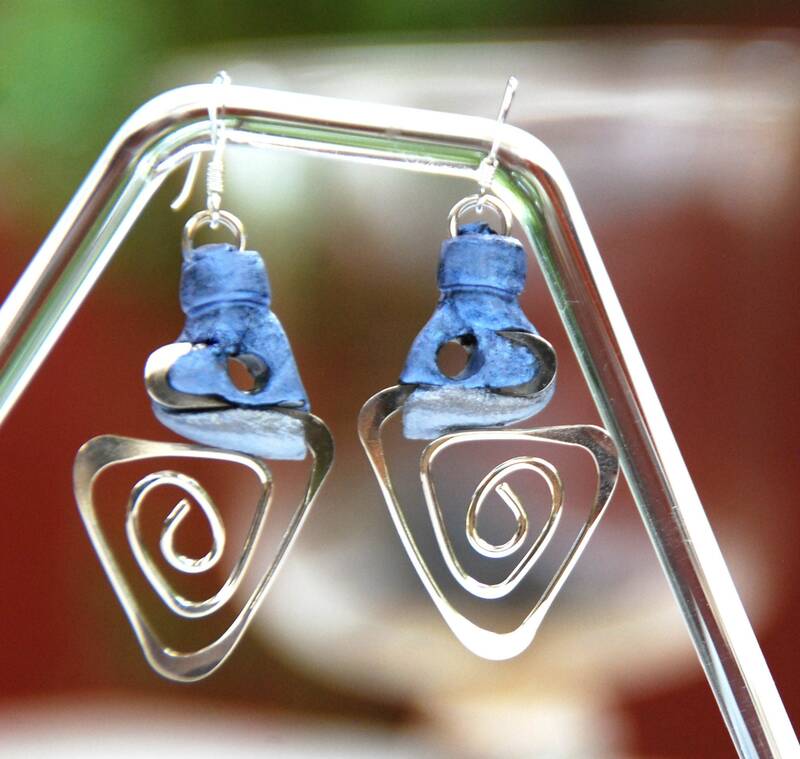 This pair of earrings is individually designed and handcrafted by myself. It is a one -off and unique piece, which is lightweight and durable. 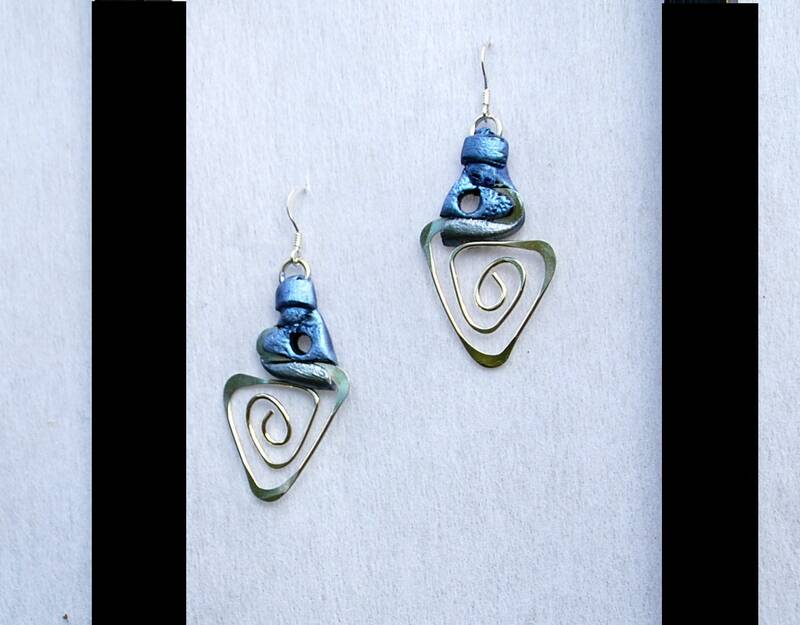 The earrings are made of polymer clay and sterling silver. Black polymer clay is hand painted with metallic paints and the surface is protected with varnish, so colours do not change. 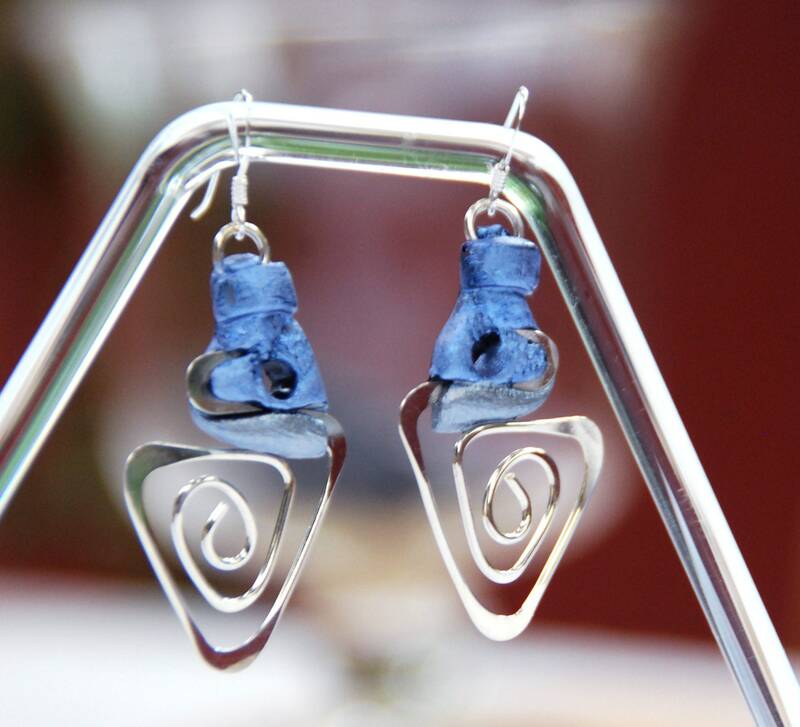 I ALWAYS USE STERLING SILVER EAR HOOKS FOR ALL MY EARRINGS. Each item comes nicely packed - on a black card with a gold logo sticker, in a small black gift bag. I accept payment by Paypal and approved credit cards via Direct Checkout. Items are shipped within 1-2 business day after payment is confirmed. All items are shipped by standard Australia Post. Postage is free within Australia. You can request Express or Register Post for the additional cost. All items are shipped by Air Mail Australia Post. Any import taxes, VAT, customs duties and brokerage fees are the responsibility of the purchaser. If you are not fully satisfy with your purchase I will refund the full price, but not the cost of return postage. The item needs to be return in original condition within 7 days after receiving it. In the case of non-arrival, damage or dissatisfaction of any kind, please contact me. I am open to find the mutual satisfactory solution to any problem.